Buying a home can be a daunting task, but if you surround yourself with the best team possible you will set yourself up for success. How do you assemble this team? 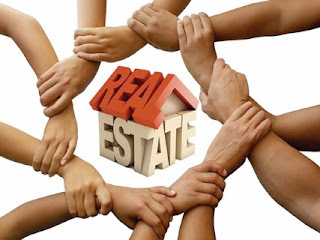 Second (if you haven’t already hired one) find a local realtor that you trust. It’s a great idea to ask friends and family for references if they have recently purchased a home. You can also check for recommendations on different online sites to make sure the person will be a good fit for you. The next person you need on your team is a home inspector - a critical part of the home buying process. A home is likely the largest investment you’ll make in your lifetime, and you want to make sure you know what you’re buying. Usually, the realtor you work with will have a few trusted home inspectors that they will recommend to you. The final person on your team is an insurance agent. You’ll want to make sure your policy covers you if something should happen to your home, or at your home. Asking your realtor and lender for a referral is a great idea, and I also recommend you call whomever you currently have your car insurance through because bundling the two usually gets you the best price. Cari Turnbull is a Windham resident. She and her team serve the Greater Portland area. Cari started her career in real estate after buying her first home and wanting the experience to be better. She hosts free monthly classes for home buyers and sellers to better educate them on the process. To contact Cari, call columnist@TheWindhamEagle.com.